Jason Furman, the deputy director of the Obama administration’s National Economic Council, told reporters on a conference call Sunday that the cuts could compromise some military readiness in Virginia. About 90,000 civilian Department of defence employees would be furloughed, and maintenance on 11 ships could be canceled, Furman said. Warner gave three examples of how he said the cuts would affect his state — “975 separate line items” would be cut. It would also have to cut some long-term contracts with ship- and plane-builders, which Warner said would end up costing the state more. And it would have to cut back some National Institute of Health grants, meaning the price of meat could rise. 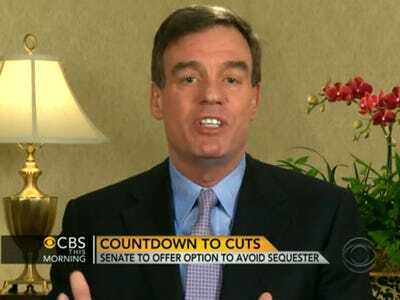 “Limping from one budget crisis to another doesn’t do anything for this economy,” Warner said.